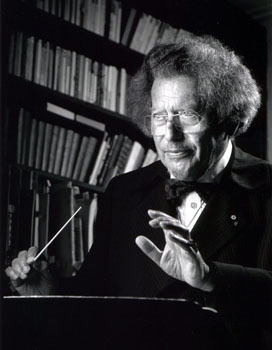 Welcome to our site celebrating the 100th anniversary of distinguished Canadian Alexander Brott, Composer, Conductor and Violinist. Our website will be updated with new content and media throughout the year and beyond. We encourage you to visit often and provide us with your comments and photos via our blog. We are working on providing a French version of our site which will launch during the Anniversary year. Excerpt from A Son’s Perspective . . .